of two blind men.. And through this life-changing encounter in which Christ’s power is in full evidence, we’re presented with the opportunity to grow to a fuller understanding of our own healing and salvation. 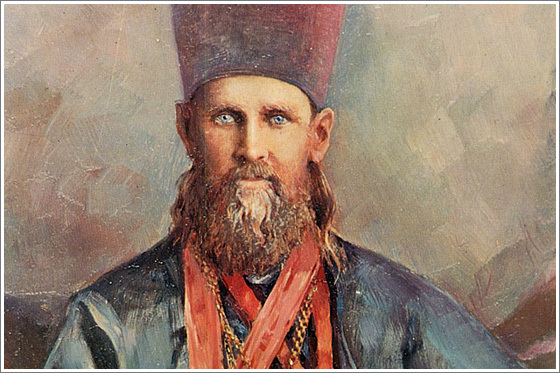 ST. JOHN OF KRONSTADT: What Has the Feast of Pascha Left in Our Souls? But such a one as believes in his resurrection from the dead, the same prepares here for the future life; attempts to live in accordance with the commandments of the Lord; honours the feasts of the Lord; and takes care not to offend against their sanctity through deeds of carnal impurity. And what was done among us, us Orthodox Christians, on this radiant Feast? It is shameful even to speak of it; but it is necessary to do so. Christians, to the great grief of Holy Mother the Church, turned the bright days of Pascha Week into dark days, days deserving of tears and lamentation. So very many celebrated not the feast of Christ’s Resurrection, and our own resurrection from dead works, but a feast of demonic resurrection in their souls. 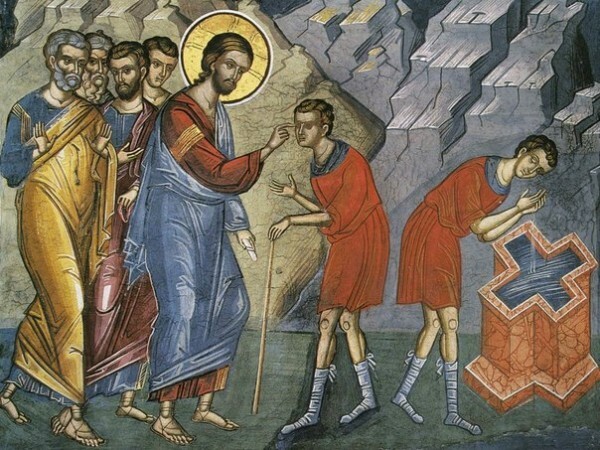 The Great Fast was a defeat of, was death for, the devil; because he fled from many souls and died to them, as it were, after their sincere repentance and communion of the Holy Mysteries; but on the feast of Pascha he rose again in not a few souls. How did he arise? Through gluttony, drunkenness, outrage and other vices that drunkenness gives rise to, and to which many Christians gave themselves over. It is thus that Christians love Christ; it is thus that they celebrate the greatest holiday of the year! What benefit is there in such people calling themselves Christians? Many pagans live better lives than that and, without a doubt, are more worthy in God’s eyes than are they. Those of other [non-Christian] faiths and those who are not Orthodox, who dwell in our city [Kronstadt] are astonished at such behaviour, and on so great a holiday, and say: there are the Christians, for you; there are the Orthodox, for you! They celebrate like real pagans, and on such a holiday, yet! That is what those of other faiths and those who are not Orthodox say of us. But what does the Lord Himself say of our holidays; or, more precisely—of our observance of them? My soul hateth your festivals, and I cannot bear the great day, saith the Lord, I am surfeited; I will no more pardon your sins (Esaias 1, 14). Originally translated into English for “The Light Of Orthodoxy,” Spring 1983, by G. Spruksts, from the Russian text appearing in Solntse Pravdy: O zhizni i uchenii Gospoda Nashego Iisusa Khrista [“The Sun Of Righteousness: Concerning the Life and Teaching Of Our Lord Jesus Christ”] by Protopriest Ioann (Sergiev) [of Kronstadt], Chapter 5, pp. 297 – 301. Reprinted by permission. English-language translation copyright 1983, 1998 by The St. Stefan Of Perm’ Guild, The Russian Cultural Heritage Society, and the Translator. All rights reserved. The Liturgy of the Presanctified Gifts may be characterized, without exaggeration, as the heart and center of the services of Great Lent. In some ancient manuscripts of the service books it is known as the “Liturgy of the Great Quadragesima.” In fact, it is the service that best typifies this sacred time of the year. 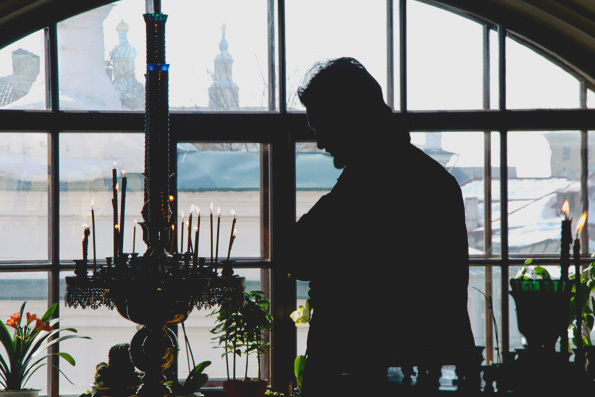 The essence of this service is revealed in its very name: it is the “Liturgy of Presanctified Gifts.” This distinguishes it from the Liturgies of St. 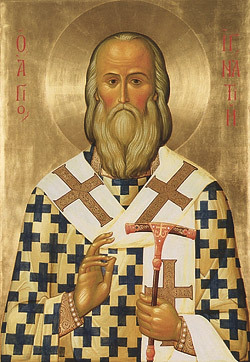 Basil the Great and of St. John Chrysostom, in which the Eucharist – the offering and sanctification of the Gifts – takes place. During the “Liturgy of the Great Quadragesima” we are offered the Holy Gifts “pre-sanctified,” i.e., already sanctified at a Liturgy served on a previous day. These Holy Gifts are offered to us that we might have the opportunity to commune of them and be sanctified by them. In other words, the Liturgy of the Presanctified Gifts is essentially not a “liturgy” in the sense of the Liturgies of St. John Chrysostom or St. Basil the Great, but is rather a special rite of Communion. In order to understand why a rite of Communion of presanctified Holy Gifts came into being, one must consider its history. Its roots lie in the ancient practice of the Church. In the early centuries of Christian history, the faithful approached to receive the Holy Gifts at each Liturgy. It was even a practice among the faithful, when there was no weekday Liturgy, that they would privately commune of Holy Gifts left over from the Sunday Liturgy. On this foundation, a special rite of prayer crystallized within the monasteries: all monastics would pray together before Communion and afterwards they would together thank God, Who had enabled them to be Communicants of the Holy Mysteries. This would be done either after Vespers or after the Ninth Hour (about 3:00 PM). In time, this rule of prayer took on the form of a short service, somewhat similar to the rite of the Liturgy. Thus developed what we now call the “Order of the Typica,” in contemporary practice served after the Sixth and Ninth Hours. The very name “Typica” points to the fact that in some measure this short service typifies the Liturgy. It is in this sense a precursor to our Liturgy of the Presanctified Gifts. During Great Lent, the full Divine Liturgy is served only on Saturdays and Sundays. Ancient church practice, confirmed in the canons of the Councils, forbids the serving of Liturgies on weekdays during Great Lent, inasmuch as those days are entirely dedicated to fasting and repentance. 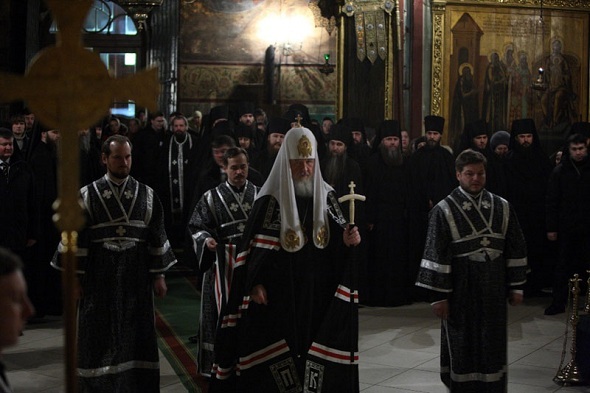 Serving the Divine Liturgy would be incompatible with the mournful character of such days. The Liturgy is a Paschal Mystery, a Feast of the Church, filled with joy and spiritual jubilation. As St. Basil the Great states, the faithful of that time were used to receiving Communion not only on Saturdays and Sundays, but also at least twice during the week – on Wednesdays and Fridays. Therefore, the question arose: How could they commune outside the Liturgy? The answer had already been provided: they could commune of the Holy Gifts sanctified at one of the earlier Liturgies. In those days, fasting meant complete abstinence from food until sunset, and Communion of the Holy Gifts was the crown and end of the Lenten day. For this reason, on those weekdays, it took place after Vespers. The rite of the Liturgy of the Presanctified Gifts consists of Vespers, at the conclusion of which the Holy Presanctified Gifts are offered, and the prayers before Communion are read. Communion itself takes place, and is followed by prayers of thanksgiving. 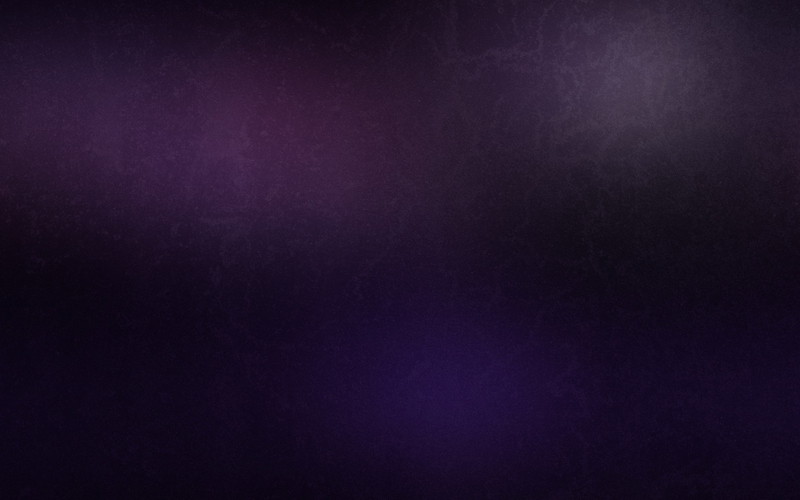 The service’s connection to Great Lent is reflected in its special “mournful” character. The Altar Table and sacred vessels containing the Holy Gifts are covered with dark-colored vestments. Prayers are read with a sense of humility and tenderness. Overall, the entire service is marked by a special sense of mystery. The first part of the Liturgy of the Presanctified Gifts consists of Great Lenten Vespers, with some specific distinguishing features. The priest is vested in dark vestments. 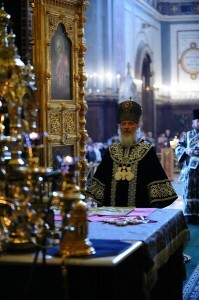 Vespers itself begins not with the usual “Blessed is our God,” but rather with the opening doxology of the Divine Liturgy: “Blessed is the Kingdom of the Father and of the Son and of the Holy Spirit…” In this manner, the entire service turns toward hope in the Kingdom, that same anticipation that characterizes all of Great Lent. This psalm, which praises God, the Creator of the whole world, is a sort of “preface” to Vespers, and with it the entire cycle of daily services for, according to Old Testament tradition, evening and the coming night are considered the beginning of the day. Then Psalms 119 and 133 are read. These psalms form the 18th kathisma (chapter) of the Psalter, the book of psalms. These psalms are known as “hymns of ascent.” In Old Testament times, they were sung while one was ascending the steps of the Temple in Jerusalem. While these psalms are being read on the kliros, in the Altar the priest prepares the Holy Gifts on the Table of Oblation. The Presanctified Lamb (the Body of Christ, permeated with His Most-precious Blood), which had been left on the Altar Table since the previous Sunday or Saturday, is transferred to the Table of Oblation. Then ordinary, unsanctified wine and water are poured into the Chalice, and the Holy Vessels are covered, as is done before a full Liturgy. All of this is performed in silence, with no accompanying prayers. The Order of Divine Service underscores that distinctive feature: all of the prayers have already been read at the Sunday Liturgy at which the Holy Gifts have been sanctified. Following the Evening Entrance, there are two readings (paremoi) from the Old Testament. One is from the Book of Genesis, and the other from the Book of Proverbs by Solomon. Between these two readings, a rite is performed which reminds us of the times when Great Lent was dedicated to preparing people for Holy Baptism. During the reading from the first Old Testament passage, the priest places a lighted candle upon the Gospels lying on the Altar Table. At the conclusion of the first reading, the priest takes this candle and a censer and blesses the faithful, with the words “The Light of Christ enlighteneth all!” The candle is a symbol of Christ, the Light of the world. The fact that the candle rests upon the Gospels during the reading of the Old Testament points to the fact that all prophecy was fulfilled in Christ, Who enlightened His disciples, that they “might understand the Scriptures.” The Old Testament leads to Christ, just as Great Lent leads to the enlightenment of those being baptized. The Light of Holy Baptism, uniting people to Christ, opens their minds to the understanding of Christ’s teachings. After the second Old Testament reading, there emanates from the center of the church a moving and solemn chant: “Let my prayer be set forth as incense before Thee, the lifting up of my hands as an evening sacrifice.” These words come from Psalms 140. During this chant, censing takes place before the Altar Table and before the Table of Oblation. The chant, with other verses from the same psalm interspersed, is repeated six times. In Russian Church practice, following the reading of these verses, the Great Lenten prayer of St. Ephraim the Syrian, “O Lord and Master of my life…”, is read. There follows fervent prayer for all members of the Church, and also for the catechumens. After Wednesday of the fourth week of Great Lent, these petitions are followed by a special litany for those catechumens who this year are preparing for “holy illumination,” i.e., for the Mystery of Holy Baptism. In ancient times, Holy Baptism was performed on Holy and Great Saturday. After all of the catechumens are dismissed, the second part of the Liturgy of the Presanctified Gifts, the rite of Holy Communion, begins. The solemn moment of the transfer of the Holy Gifts to the Altar Table approaches. Outwardly, this Entrance resembles the Great Entrance at the Liturgy, but in essence and spiritual meaning it is, of course, quite different. In the full Eucharistic service, the Great Entrance is the transfer/offering of as-yet unsanctified Gifts. The Church offers itself – its life, the life of its members, and all creation – as a sacrifice to God, incorporating this sacrifice into the one perfect sacrifice of Christ. Remembering Christ, the Church remembers all those whom He has taken upon Himself for their redemption and salvation. The transfer of the Holy Gifts symbolically represents the appearance of Christ and the conclusion of fasting and prayer, with the anticipation and approach of that help, comfort, and joy that we have been awaiting. After that prayer is read, the immediate preparation for Holy Communion begins. Its essence lies in the Lord’s Prayer, in the “Our Father,” with which preparation for Holy Communion always concludes. In pronouncing Christ’s own prayer, we take unto ourselves the Spirit of Christ. We adopt as our own His prayer to the Father, His will, His desire, and His life. The Service ends, and the priest proclaims: “Let us depart in peace!” At the conclusion of the Service, the Prayer before the Ambo is read. The concluding prayers at full Liturgies and at the Liturgy of the Presanctified Gifts are known as Prayers before the Ambo because the priest says them near the place where at one time there stood in the midst of the church the ancient “ambo,” i.e., a special stone cathedra, from which the Gospel was read. “The Prayer before the Ambo” read at the Liturgy of the Presanctified Gifts is especially beautiful. It reflects the connection between the serving of the Liturgy of the Presanctified Gifts and the time of Great Lent. The Holy Quadregesima is a time of spiritual struggle, a time of difficult battle with the passions and with sins. Yet there is no doubt that victory over invisible enemies will be granted to all who, according to the words of the Prayer before the Ambo, struggle “to fight the good fight.” And the day of the Holy Resurrection already is at hand. The Divine Liturgy of the Presanctified Gifts is one of the most marvelous and moving services of the Church. At the same time, it is an urgent call to frequent Communion of the Holy Gifts of Christ. In it we hear a voice from distant centuries, the voice of the living, ancient tradition of the Church. This voice says that a believer cannot live the life in Christ unless he constantly renews his connection with the fountain of life, by communing of the Body and Blood of our Lord Jesus Christ. For Christ is, according to the words of the Holy apostle Paul, “our life” (Colossians 3:4). The scribes and Pharisees once condemned and reproached the Lord for eating and drinking with publicans and sinners. To this the Savior said: I am not come to call the righteous, but sinners to repentance (Matthew 9:13). From these words of Christ it is evident that the purpose of His coming into the world was our repentance. If repentance was the purpose of Jesus Christ’s coming into the world, then it is clear that we, too, ought to consider repentance the purpose of our entire lives and all our labors. This makes sense, for it is only through repentance that the Lord grants us the greatest heavenly treasure: the regenerating grace of the Holy Spirit, which we receive in the Mystery of Chrismation at Holy Baptism. This grace in us is the source of divine conduct. 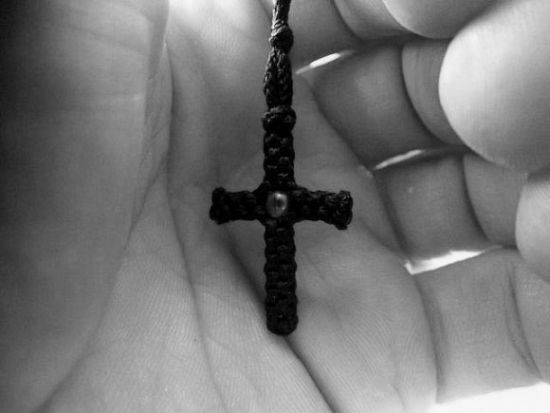 It helps us distinguish good from evil. It provides all knowledge necessary for the happiness of our temporal life and for the life of the future. This is why St. John the Theologian, referring to the grace of Chrismation received at Holy Baptism, said: But ye have an unction from the Holy One, and ye know all things… and ye need not that any man teach you: but as the same anointing teacheth you of all things (1 John 2:20, 27). This grace is nothing other than the divine power that indeed helps us to renounce Satan and all his affairs – sins and passions – and to live according to God’s commandments, thereby receiving a foretaste even here of the future blessedness of Christ’s Heavenly Kingdom. This is why another great Apostle, Paul, called this grace the earnest (guarantee) or portion of the future inheritance, which is the ineffable eternal blessedness of Paradise (cf. 2 Corinthians 1:22; 5:5). Both repentance and grace are clearly two goods necessary for salvation, for without repentance one cannot receive the regenerating grace of Holy Baptism, which is why the Apostle Peter, in response to the question posed by the audience of his first missionary sermon – what shall we do? – said: Repent, and be baptized every one of you in the name of Jesus Christ for the remission of sins, and ye shall receive the gift of the Holy Spirit (Acts 2:38). The extent to which we will repent is the extent to which the Holy Spirit’s wondrous actions of grace will be in us. Beloved, we all know how great the repentance of St. Mary of Egypt was. But consider just how much grace she had from God! When St. Zosima awaited Mary at the Jordan with the Holy Gifts in order to give her Communion, he wondered how she would come to him from the other side of the river. Then he saw how she, like Jesus Christ, walked on water as on dry land, thereby crossing the Jordan. When St. Zosima asked Mary to pray for the entire world, she was raised into the air as she offered fervent prayer to God. By this astonishing miracle the Lord demonstrated to St. Zosima that the prayer of this great and righteous woman for the preservation and salvation of the world was acceptable to God. The world did not know, and to this day still does not know, that it is preserved from ruin by the grace of a few great righteous ones. Thus did the Lord once preserve the world through the prayers of one of His holy ones: St. Mark of Trache. Thus did the Lord preserve the world from ruin by the prayers of two of His venerable ones: Macarius the Great and Macarius of Alexandria, for their struggle of repentance was so great; and great, too, was their grace. That wondrous God-pleaser, St. Seraphim, had no grave sins. He experienced only unavoidable mental warfare with unclean spirits. 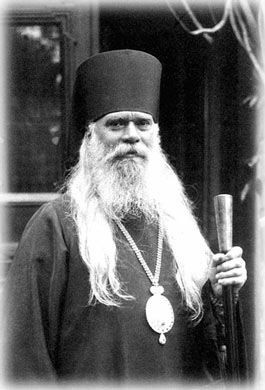 When he was once offered to become the superior of one of our foremost monasteries in Russia, with the elevation to the rank of archimandrite, St. Seraphim declined this altogether honorable appointment. Then a fierce struggle with thoughts of vainglory arose in him. What did this great chosen one of God do? For nothing but thoughts of vainglory he began to repent as for great and grievous sins. He stood on a rock and, with his hands uplifted to heaven, stood for three years praying the prayer of the publican: God, be merciful to me, a sinner! During this entire time he ate only herbs and drank only water. How astonishing was his repentance! But just as astonishing was how the grace in him was wondrously manifest. Like the Savior, he healed every imaginable illness in people by a single word. He also once prayed in the air for the healing of a hopelessly ill child. The sisters of the Diveyevo Convent saw how he walked in the air a yard above the ground as he went to his desert. 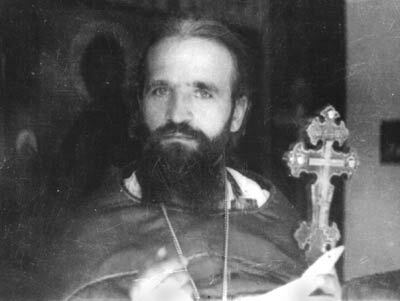 His face shone with divine light after receiving Holy Communion and especially when he spoke about the grace of the Holy Spirit with Motovilov. St. Seraphim’s soul departed his body in this light, and angels bore it to the throne of the Holy Trinity. If, however, we do not truly love our neighbors, our repentance will not be acceptable to God; not only will the regenerating grace of the Holy Spirit not be kindled in us as it was manifest in the lives of Sts. Mary of Egypt and Seraphim of Sarov, but it will not act in us at all. Its light will be extinguished and we will not enter the heavenly chambers of Christ our Savior. The Lord revealed this truth in His parable of the ten virgins. The foolish virgins did not have oil in their lamps, that is, they did not have love; the light of grace, given them at Baptism, had gone out, for which reason they found themselves outside their Bridegroom’s heavenly chamber. The Lord showed us this truth again in His parable of the good king and the merciless lender. The Holy Church, as our loving mother, always cares for us. It is concerned that the Lord would not, as it were, reject our repentance. Therefore just before the beginning of Great Lent it addresses us during the Liturgy with the words of Jesus Christ: For if ye forgive men their trespasses, your heavenly Father will also forgive you: But if ye forgive not men their trespasses, neither will your Father forgive your trespasses (Matthew 6:14-15). Therefore let us strive to have our struggle of repentance – our fasting and prayer – not be deprived in God’s eyes of their beneficent fruits, that we may worthily partake of Christ’s Holy Mysteries and be united forever with Christ in His Heavenly Kingdom. For this to happen, may our repentance have as its constant companion our sincere love of our neighbors. We know, it is true, that the crucified good thief went to Paradise due to his one hour of repentance, although his entire earthly life was marked by cruelty to the point of murder. But the tradition of the Church indicates that a gang of robbers attacked the Holy Family during their flight to Egypt. The thieves wanted to kill the Holy Family, but the chieftain, struck by the unearthly beauty of the Christ-child, stopped them from committing this terrible crime. For this the Immaculate Mother said to him: “This Child will in time reward you for your mercy and love for Him.” It was this chieftain who was later to be the good thief. Moreover, even on the cross he showed compassion and love for Christ, for he rebuked the other thief for his spiteful words to the Divine Sufferer, which is why he said: Lord, remember me when thou comest into Thy kingdom, for which he heard these words from Christ: Today shalt thou be with Me in paradise (Luke 23:39-43). From the life of St. Taisia we also know that she, too, entered Paradise for her single hour of repentance. But the Church’s tradition again tells us that before entering her dissolute life she distributed all her enormous wealth to the poor and built a hospice for monks. She was distinguished by her wonderful beauty and, having become poor voluntarily, became a harlot due to her extreme living conditions. Because of her earlier manifestation of love for her neighbors, however, the merciful Lord did not allow Taisia to fall into perdition. He inspired one of His great saints, John the Dwarf, to go to Taisia to call her to repentance. Prompted by the Holy Spirit, St. John the Dwarf went to Taisia and aroused such a fiery determination in her soul to correct herself that she immediately left behind all the wealth acquired by fornication and everything else in the world and asked St. John to take her right away to one of the convents, where she would be able to atone for her grievous sins. St. John fulfilled her request by going with her from the city to the desert. Night found them travelling. He made a headrest out of sand and told her to get a little sleep, so they could continue their journey early the next morning. Retiring some distance from her, he also wanted to rest, but suddenly he saw how divine light lit up the entire sky, and in this light an angel bore Taisia’s soul to the throne of God. St. John approached her and found her already dead. This shows how great the salvific importance of profound repentance is. This shows how quickly the Lord sometimes takes souls for their determination to change their lives, making them worthy of His Heavenly Kingdom. Our great Russian people has since time immemorial been characterized by its true love for others. It always showed this, and especially before Great Lent on the day of Forgiveness Sunday. 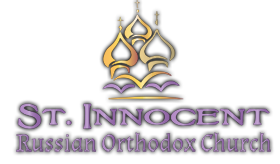 Then Russian Orthodox people strove with all their heart for mutual reconciliation, forgiving all their enemies and even those who had wronged them; they were even the first to ask forgiveness of them, not waiting for them to initiate reconciliation. You, my dear children, are flesh of flesh, bone of bone, and blood of blood of the Russian people. Therefore in your hearts, too, there is true and great love of neighbor. This love inspires you always and invariably to flock in great numbers to your Russian Church on Forgiveness Sunday to participate in the Rite of Forgiveness, here asking forgiveness of one another and forgiving everyone that has offended you. May the Lord strengthen you in this Christian love and in your pursuit of mutual reconciliation! Do now what you have always done in the past on this day. Knowing that without love there is no repentance and therefore no grace, ask forgiveness of one another, and even of those who have offended you. Yet before you do this, I must do the same to you, as your archpastor. Therefore I ask you, for the sake of Christ, to forgive me all the sins I have committed against you in thought or feeling, willingly or unwillingly, in word or deed. On my part, I forgive you all for whatever sins you have committed against me and I call down upon you, my dear children beloved in Christ, the grace of God. Amen.